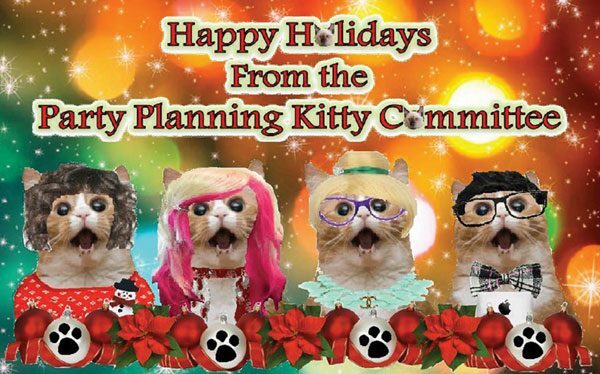 Word on the Street: Have You Thrown a Cat-Themed Party? A cat-adoption shower? A birthday party for a feline friend? A work gathering? A movie night? Cat-themed parties: Sometimes they celebrate adoptions or birthdays, sometimes they’re workplace gatherings that include whiskers and ears as props, other times they’re a chance for friends to make cocktails named after kitties and watch That Darn Cat. (Again.) 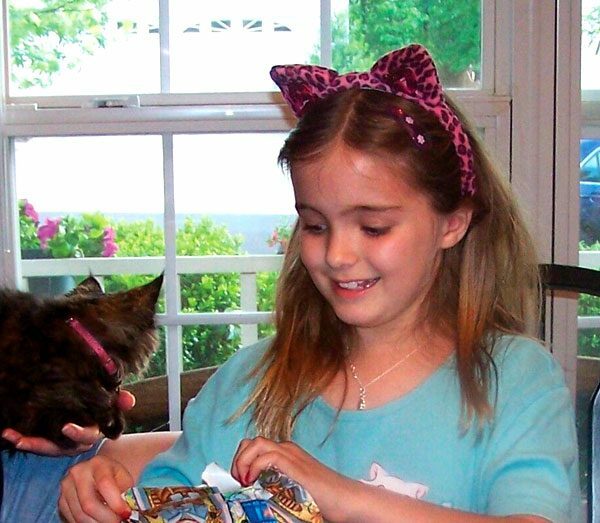 We asked Catster readers to tell us what kinds of cat-themed parties they’ve thrown. Some of the replies (and illustrative photos) are below. I have thrown two cat showers — one for my co-worker, Lisa, and one for my daughter, Caroline. Look at the table cloth — love it! I wanted to do something special to congratulate both of them on their new kittens. Caroline and Lisa loved the kitty-themed gifts and were very surprised by the showers. Caroline and her new kitty. Everyone who attended had a fun time. 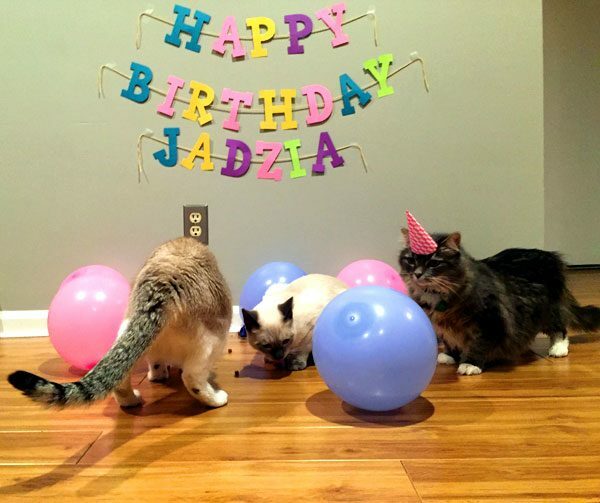 We threw a cat-themed one-year-adoption-day party for our cat Jadzia. All of her feline siblings attended, and my fiancé and I both wore cat ears to fit in. The cats loved playing with the balloons! To celebrate, Jadzia got her own four-course meal, and the humans ate a feline-inspired fish dinner. It’s a cat-themed party every day at my house! They’re always partying and sleeping and eating and sleeping. 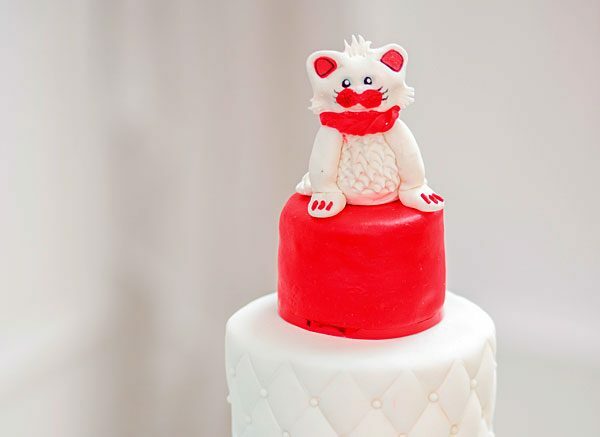 Last year’s work holiday party was Meowy Catmas, and this was the picture I made to be the cake topper. Not a party, but I had a birthday cake in the shape of my cat, Smokey. Yes! My daughter’s birthday party a few years ago. So much fun! How about you? 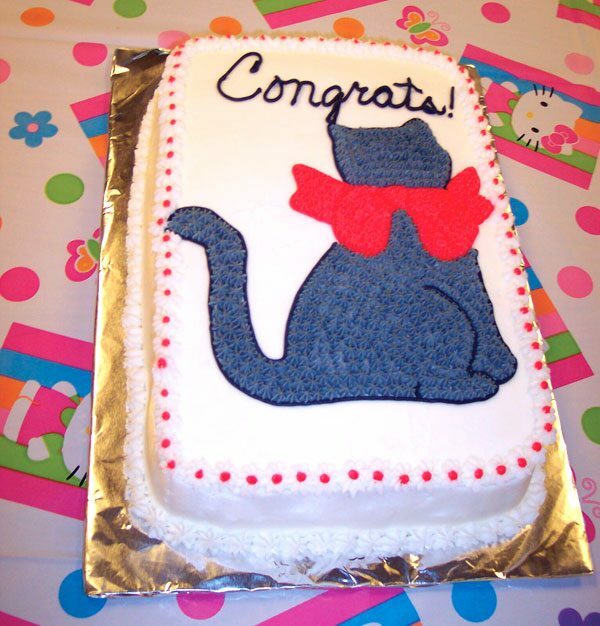 Have you thrown a cat-themed party? What was the occasion? How did it go? Let us know in the comments.